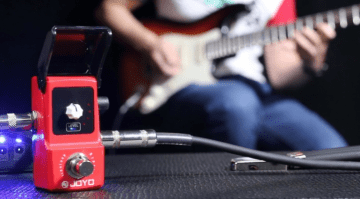 JOYO Pedal Carpet – A magic carpet ride for your effects? 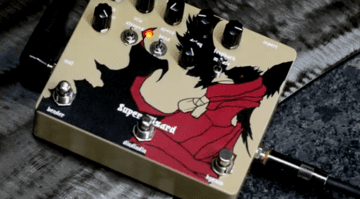 Pedal Junkies can fly away on this magic carpet, swooping in and out of gigs with ease! 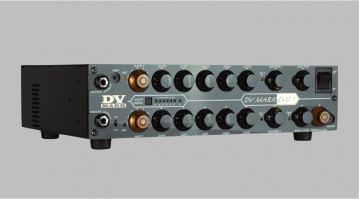 DV Mark Evo-1 Multi-Amp head: Amp modelling made easy? 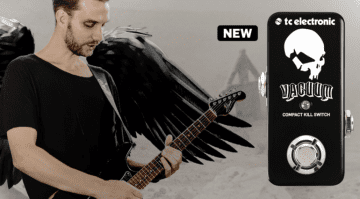 The Italians at DV Mark have been busy, and their Evo-1 making guitar amp modelling more accessible for gigging musicians. 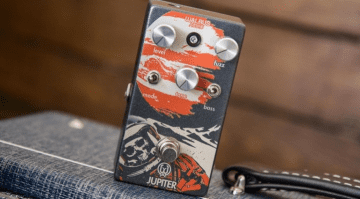 Walrus Audio have just released this update to one of their popular fuzz pedals, the Jupiter. 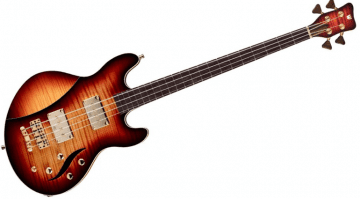 Version 2 has a new look as well as some reworked electronics and new features. 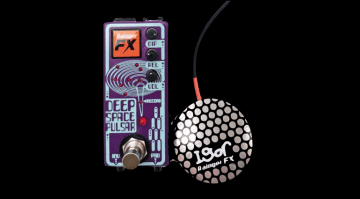 Throbbing, pumping and ducking: Not your everyday guitar tones, but the Deep Space Pulsar aims to give you some fun new ways to play. 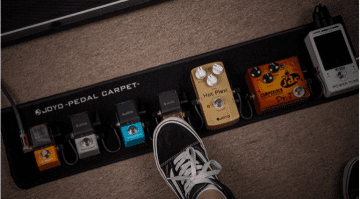 If you can squeeze 20 minutes of recording time into a pedal and still make it cheap, the chances are you could sell loads. 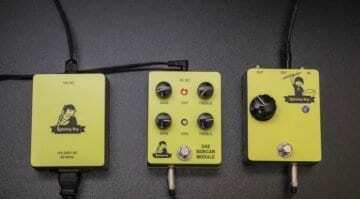 Radial North-Star Overdrive and Power Booster: Drive with a twang! 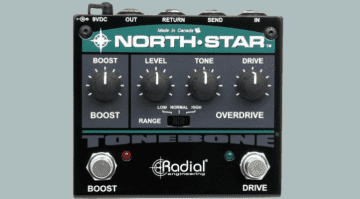 This new Tonebone North-Star drive pedal has plenty of clean boost on tap, and a handy effects loop to boot! 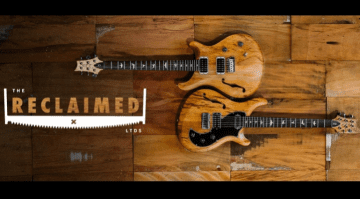 This is a shining example of recycling done right, giving you the chance to buy some cool Brazilian tone woods that are very well seasoned. What would you do with a handful of National Semiconductor 2n3565 NPNs? 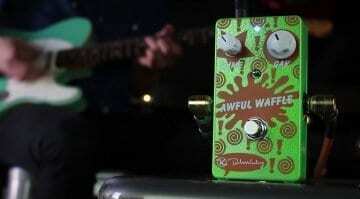 You'd bake some waffles and drizzle them in a '90s retro graphic, of course! 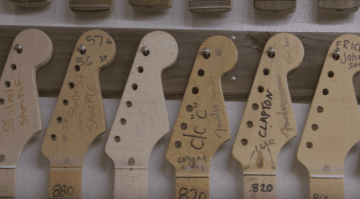 With a core sound based upon a very British-sounding amp, will the Filament burn brightly in 2017? 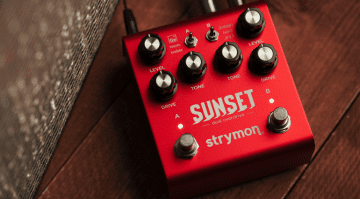 A very well thought out new dual drive pedal from a company with a history of combining DSP with analogue circuits. 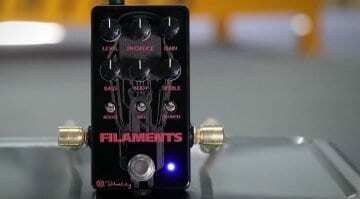 Here's a new idea for a modular drive pedal system for your guitar - will it catch on? 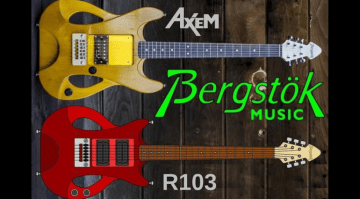 Not only can this Bergstok design be switched between a left- and a right-handed version in minutes, you can also swap out pickups with ease, too.